“For now it looks like we are back in a sweet spot of strong economic fundamentals and a dovish Fed,” Loewengart said. 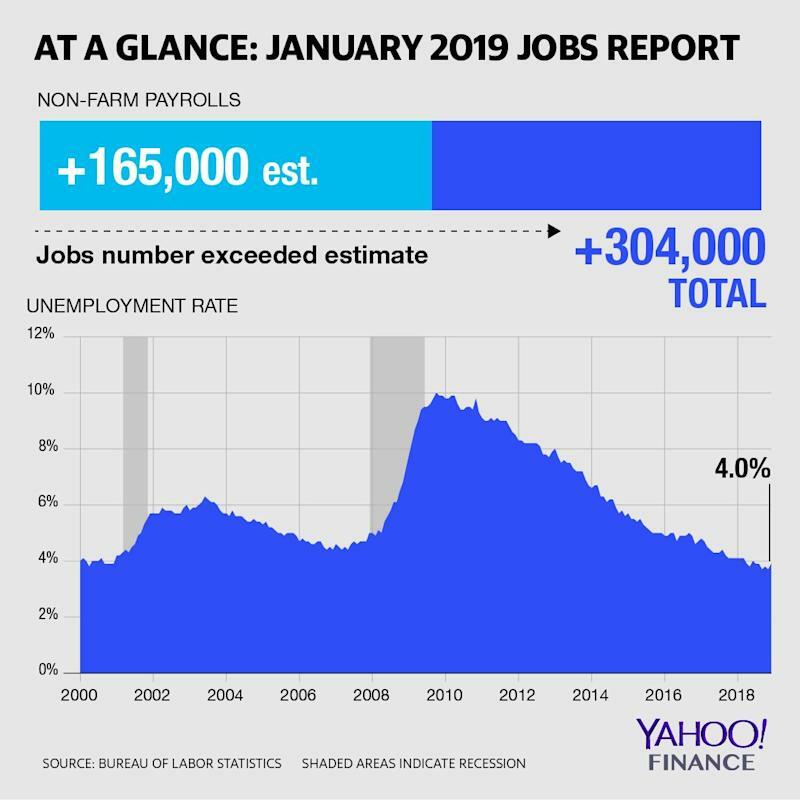 The U.S. economy added more non-farm payrolls than expected in January. Many economists noted that January’s results could contain some “noise” due to impact from the 35-day partial government shutdown. For the Bureau of Labor Statistics’ establishment survey – which produces data on non-farm payrolls, earnings and hours worked – furloughed workers were counted as employed since their back pay was guaranteed. For household survey data – including results for household employment, unemployment and labor force participation – furloughed workers who were not working for the BLS survey’s entire reference week were counted either as unemployed or temporarily laid off. The protracted partial government shutdown did add weight to Friday’s jobs report as it impacted the release timing of other critical economic data used to inform market participants and policymakers. A first reading of fourth-quarter gross domestic product, for instance, was due for release this week, but has been delayed since a host of data that factors into the index has not been available due to the shutdown. Recent data on personal income and spending, durable-goods orders, retail sales and housing starts have also not yet been released. The timing of the January and December jobs reports were not impacted by the partial government shutdown since Congress had already approved a spending bill providing funding for the Department of Labor. “During the time it takes to get the postponed economic indicators back on schedule and allow greater confidence gauging economic strength, the Fed will continue to lean heavily on the performance of the labor market,” Sam Bullard, managing director and senior economist for Wells Fargo Securities, wrote in a note ahead of Friday’s report.